Sedation dentistry involves the use of an oral sedative to put patients into a relaxed state during dental procedures. This technique is frequently used when patients will be undergoing a long or extensive procedure. It is also an ideal solution for patients who experience extreme anxiety during dental visits and have difficulty remaining still, which can include both adults and children. What are some of the potential benefits of sedation dentistry? Dr. Mylander will recommend various types of sedation during dental procedures for a number of reasons. The amount of anxiety experienced by the patient as well as the type of procedure that is performed will help determine what type of sedation is used, from simply taking a small dose of Valium beforehand to actual sedation dentistry. 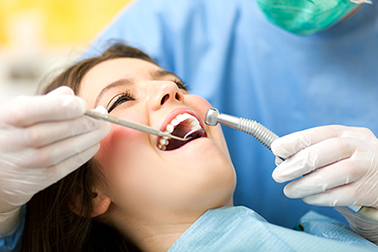 One of the greatest benefits of sedation dentistry is that it allows people to relax during their dental visits. For some people, the anxiety caused by a trip to the dentist is enough to cause them to avoid any future dental care visits. This can have a devastating impact on dental and gum health. By helping patients relax during the dental procedure, dentists are able to perform their work without causing undo stress for the patient. Another major benefit of sedation dentistry is that it helps patients to stay still. In many cases, it is absolutely critical for the patient to remain completely motionless while the dentist works. For this reason, sedation can be especially useful during long procedures or dental surgeries. Dr. Mylander will be able to help you determine if you are good candidates for sedation dentistry, discuss sedation dentistry risks and benefits, as well as which level of sedation is right for your needs. For more information on Sedation Dentistry in New Bern, NC, please contact Dentist Andrew D. Mylander, D.M.D. by filling our Contact Form or calling (252) 633-2131 today!